And while it is well know that the end of the first exile occurred after 210 years in Egypt the Zohar informs us in Pasha Toldot, (Midrash Hane’elam) Section 8, #71 that in regards to the resurrection the righteous will rise up 210 years before everyone else. With the pyramid, we have that figure preserved in stone. It’s interesting that the capstone was mysteriously removed long long ago, because, now, if you’d look straight down over the top of the pyramid you’d see a square 32 feet by 32 feet in the exact middle of it, just as you would if you did the same with the Holy Temple. The square central alter in the center, or heart, of the Future Holy Temple is 32 cubits by 32 cubits. As we’ve said previously, this makes sense since 32 is the numerical value for the Hebrew word for heart (LB), representing the 32 Paths of Wisdom, which form the Tree-of-life. And since the Torah begins and ends with the letters Lamed (L) and Bet(B) as in LB (heart), and since there are exactly 32 x 32 word values in the Torah, which is also 210 , analogous to the 210 levels, this structure makes perfect sense from a holistic and comprehensive divine point of view. And as light flows down from the apex, cascading down the 4 steep highly polished sides of the pyramid, so too did the light (water) flow down the 4 rivers from Gan Eden (Bereshit 2:10) and from the Holy of Holies of the Future Temple through the 4 Names (Aspects) of G-d. The 4 bases of this capstone, like the 4 bases of the pyramid itself, vary slightly, with the average being about 32.0833 feet, 32 and 1/12 feet or exactly 14 cubits, making the height of the capstone 20.42 feet and the apothem just about 26 feet give or take less than half an inch, with 26 being the numerical value of the Tetragrammaton (YHVH). Now there are 201.1 cubits to this 203rd level, 203 being the numerical value of the Torah’s first 3 letters (BRE), leaving 7 additional levels to the apex and since 2011 plus 7 equals 2018, as in 2018 CE, it matches up with the Hebrew year 5778 dictated by the pyramid’s height in inches. But more significantly, and more precisely, the ratio of the height and base of the capstone to the height and base of greater pyramid itself is 4.2424% giving us 424, the numerical value of Mashiach Ben David (the Messiah). Yes, this is no coincidence. What chance is there that this too is coincidence? Or that the sum of the base and height in cubits (330 + 210) equals 540 and when we add 1 of the kolel we get 541, the numerical value of Israel. Now, as we’ve explained, the capstone is exactly 14 cubits wide and 14 is the gematria value for David (DVD) and yad (YD), meaning hand, as in the hand of G-d, so how odd is it that 541 cubits is 14, 877.5 inches or 14 with 5778 reversed, the date Rav Yehuda HaLevi Ashlag of blessed memory gave us for the end of the 4th exile. 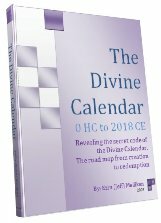 (See The Divine Calendar). Not to get too technical, but the number 14 is the 3rd square pyramidal number, meaning it takes 14 units to construct a 3 level square pyramid, and the Magen David, (the “Shield of David), is a perfect symmetrical 12-gonal star, indicating these numbers spiritually were chose not by simple mathematical chance, but for the esthetics in their geometric symmetry and how their energy unfolds in our world. Moreover, 541 is the 10th centered 12-gonal number, a fancy way of saying a symmetrical 12-sided polygon made up of 541 geometric units, and given Jacob’s (Israel’s) 12 sons as heads of the 12 tribes of Israel, it’s not an insignificant construction or consideration. 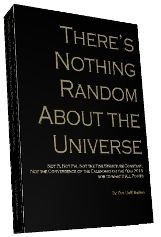 There is nothing in the universe that does not have a specific purpose. That all said, the square root of the 541 cubits in feet is 35.210 and while 35 is exactly 1/6th the pyramid’s height of 210 cubits, the 35th level of the pyramid is a big delineation point in its structure. At the 35th level, the height of the masonry is purposefully twice that of the average and surrounding layers, making it stand-out like a wide stripe or band around the pyramid. Being that it’s exactly 1/6th the way up the structure , its therefore also 5/6th the way down, indicating a possible construction analogous to the 6 sefirot (dimensions) of Zeir Anpin. Furthermore, this 35th level just happens to be exactly 50 inches thick (high), which is yet another allusion to Binah and the 50-year jubilee period. (see our previous article: Mountain of Stone). Moreover, the 35th level up is necessarily the 175th down, corresponding to the 175 years of Abraham’s life, the first of the Patriarchs to visit Egypt. So once again we ask the questions: Who built the pyramid in Egypt and why? We can plainly see that the structure itself is all about light and elevation and the end of exile (all four of them), and the Biblical word for Egypt, Mizraim, is synonymous with darkness, so obviously the pyramid wasn’t created by elements of darkness. Moreover, it obviously served as a beacon of light amongst the darkness, figuratively, and literally with its highly polished gleaming sides, so perhaps we intuitively know why it was built there. It would even look like a flaming sword, but more on that later. By cloaking it in a veil of darkness, is it possible that G-d tricked the forces of evil and gave us a lasting testament to His Glory (Kavod-numerical value 32) that survived the four exiles mostly intact. You can decide for yourself who built it then. And let’s keep in mind that our goal in examining the existing great Pyramid is to better understand and prepare ourselves for the Future Temple and the Tree-of-Life reality for the Zohar in the same section quoted above tells us the Future Temple will precede the geula (final redemption) and that doesn’t give us a lot of time to prepare. In our next article we explore the secret entrance to the pyramid and the mysteries that it holds.